Angelo has performed extensively in the UK, Europe, Asia and Australia, and has received coverage on major media, including live BBC interviews and performances.The release of his latest album, Angelo Villani plays Dante’s Inferno, garnered considerable praise and earned five star reviews in International Piano, The Independent, and a ‘Tokusen’ (specially recommended recording) in The Record Geijutsu (Japan’s equivalent of Gramophone). Angelo has received considerable acclaim for his highly charged yet intensely poetic Romantic style, commended by esteemed artists including Nikolai Demidenko, and also in the musical press by prominent critics including Jessica Duchen and Bryce Morrison. His luminous pianism, with a style that has been described as an incandescent yet soulful lyricism, encompasses a wide repertoire centred – yet not exclusive to – the composers of the late Romantic era. 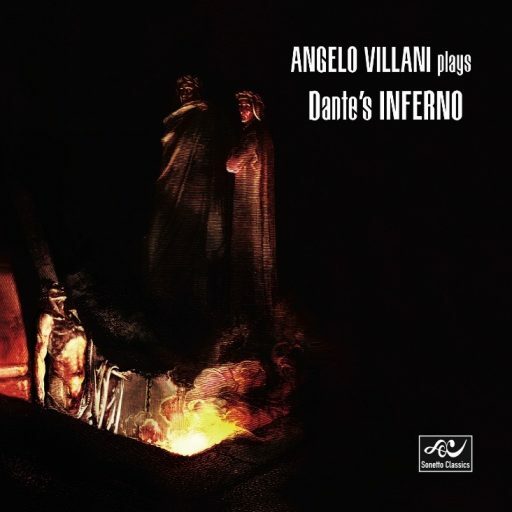 Villani’s recitals frequently feature his own paraphrases on great romantic works, including Purcell’s Dido’s Lament, and Wagner’s Tristan & Isolde. Angelo Villani began his career as a child prodigy in his native Australia, where his teachers included pupils of Friedman and Michelangeli. As a teenager he performed major works including the Rachmaninov 2nd and Tchaikovsky 1st piano concertos. In 1990, an injury to his right hand prevented his participation in the International Tchaikovsky Competition. His recovery, over a period of three decades, culminated in a comeback recital in 2012 at St. James’s Church Piccadilly.